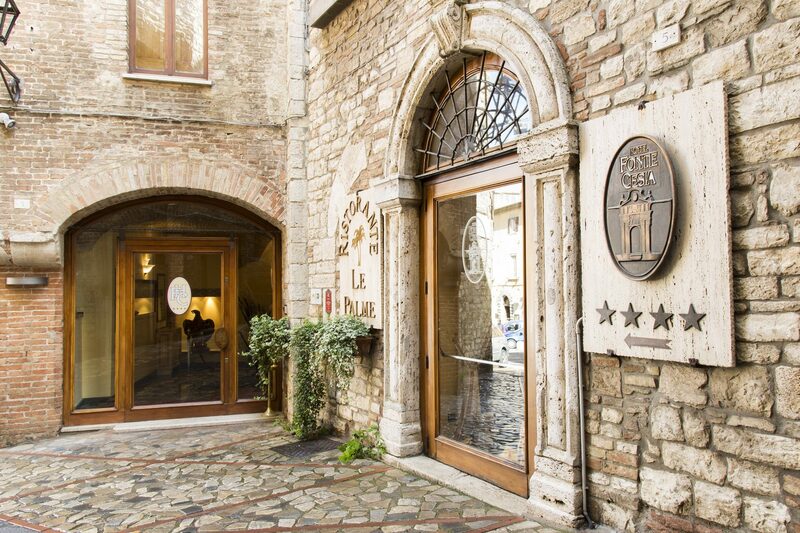 Hotel Fonte Cesia is located in the very heart of the mediaeval village of Todi, just a footstep away from Piazza del Popolo and a short drive from Perugia and Assisi. Among the ancient alleyways of Todi, the texture of its rich history is visible in the buildings from different eras, built between the Fourteenth and the Seventeenth Century. Just around the corner from Piazza del Popolo stands the elegant Hotel Fonte Cesia, one of the best hotels in Umbria, offering a warm welcome and an authentic atmosphere in the unique setting of a picturesque Umbrian village. 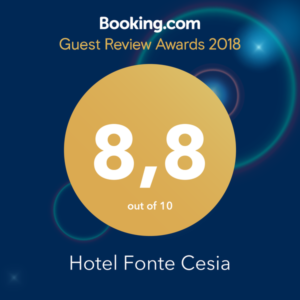 Housed in a wonderfully restored ancient and noble building from the Seventeenth Century, the Hotel Fonte Cesia is the perfect fusion of design, comfort and history. The 36 Hotel rooms, including 6 Junior Suites, are decorated in elegant classic style but equipped with all modern comforts, including free Wi-Fi. Hotel Fonte Cesia offers its guests a delicious buffet breakfast served in the “Le Volte” Hall or on the outdoor Terrace “Le Palme”, when the weather is nice and warm. For your lunches and dinners, you can choose the exquisite and refined atmosphere of the restaurant “Le Palme” or the charming and scenic environment of “Le Cisterne Pizza& Restaurant”. Thanks to the central location of Todi, located in the heart of Umbria along the E45 highway, Hotel Fonte Cesia is perfect for both couples and families and is a convenient base for sightseeing Umbria. 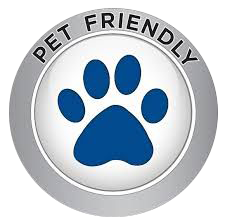 Perugia, Assisi, Lake Trasimeno, Sagrantino di Montefalco Wine Country, Orvieto, Spoleto, Valnerina and many other beautiful sites in Umbria are only a short drive away. Hotel Fonte Cesia is also an ideal location for events, exhibitions, business meetings and presentations, concerts and intimate and exclusive civil marriages. The meeting room is housed in a beautiful hall that was once the church of St. Benedict, which dates back to the Thirteenth Century.